The PC Gaming Show is the biggest event at E3 2018 geared towards PC gamers, and this year's edition looks like it is going to be the biggest and best yet. 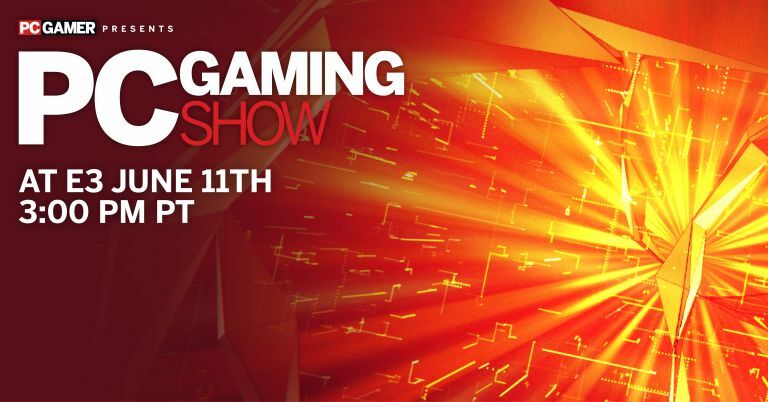 The PC Gaming Show is hosted this year by Sean "Day" Plott, and the show will feature new game announcements, new trailers and gameplay footage, and interviews with some of PC gaming's most passionate developers. And, the best thing is that even if you are not at E3 2018 this year, you can watch it live. Here's all the information you need to know to make sure you don't miss a thing. To watch the PC Gaming Show livestream here then simply click the video below. You can also watch the show via Twitch, Mixer, and Facebook, too - check out the links below for full viewing details, including where you should go if you want to attend in person. "This year's PC Gaming Show will have more unannounced games, unrevealed trailers, and new footage than any previous year. For the past several months we've been hard at work on the event, knocking on the inboxes of everyone in the industry to see what they can bring to the stage. I think you'll be excited to see who shows up."